We are a nation of wannabe leaders. From the time we are tiny, the voices shout that we must find our thing. I’ve hung around the church long enough to know that we church people are no exception. If we’re going to commit, we want to be seen. I am not a musician, but when I hear that it’s easy to fill a first violin chair in an orchestra and hard to fill a second violin chair, I am not surprised. No one wants to play second fiddle. The verse this morning is about working heartily, but I like this one better. Maybe, today, you feel like you are playing second fiddle. Maybe you feel unseen, like you give your best every single day and no one even notices. Friend, if you are loving and serving the ones entrusted to you, you are just where you are supposed to be. Don’t grow weary in doing well. The Creator has arranged you in just the way he wanted. Go ahead and rock that second violin. 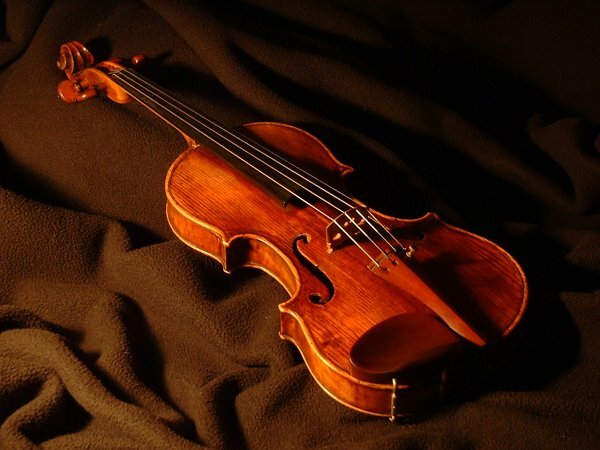 Second fiddle may very well be the most important fiddle of all. I want to hear it as a challenge. Three points and an application. Something I can, you know, do. We’re talking about talents this morning. To give more. Or to unearth some hidden talent. Or to somehow be more faithful with the little things. I sit in my seat, bread and cup in hand, and all I hear is affirmation. Again, the emotion takes me by surprise. This is the word today. Not because we’ve run harder or worked longer hours or been more faithful than anyone else. Because when he looks at us, he sees Perfection. Perfect obedience. Perfect faithfulness. Perfect generosity. So, this week, friends, give generously. But sit awhile with the bread and the cup too. You will still fall short. When he looks at you, he sees Perfection.